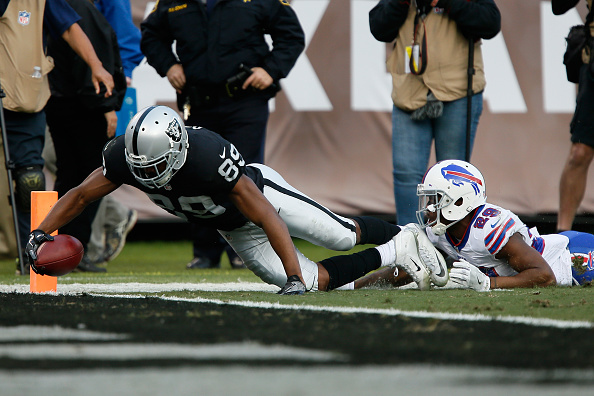 Derek Carr threw for 260 yards and two touchdowns to rally the Raiders to their biggest comeback in 16 years with a 38-24 victory over the Bills on Sunday. After falling behind 24-9 following touchdowns on the first two drives of the second half for Buffalo (6-6), the Raiders (10-2) took the game over with 29 straight points and won their sixth straight to remain one game ahead of Kansas City in the tough AFC West. The defense also tightened by forcing three straight three-and-outs and then getting a turnover when Khalil Mack deflected Tyrod Taylor’s pass that Nate Allen intercepted . 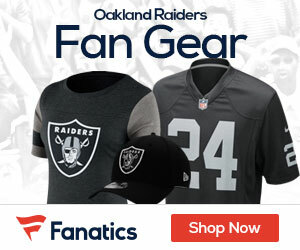 Oakland took over at the 16 and put the game away with Latavius Murray’s second touchdown run of the game to make it 38-24 on Carr’s 2-point conversion pass to Seth Roberts.